Sarah is from Muscatine, Iowa, the nose of the midwest (just listen, it’ll make sense). 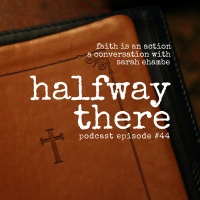 Her family has a long tradition of faith which is a fascinating story which she shares with us including the story of how her grandfather found new life in Christ at a Billy Graham crusade. You can tell the Spirit of God runs deep in her family and the special way this has shaped Sarah which “naturally birthed in me a gift of faith,” she says. Sarah also grew up in an environment where the Bible was taught and when she speaks you can hear the fruit of that value. Scripture she recalls just flows from her as we talk through her story. We cover many topics including the law verses grace, obedience, whether Christians should celebrate Christmas and eat pork and, most importantly, all of this in the context of how Sarah came to certain conclusions on her journey. 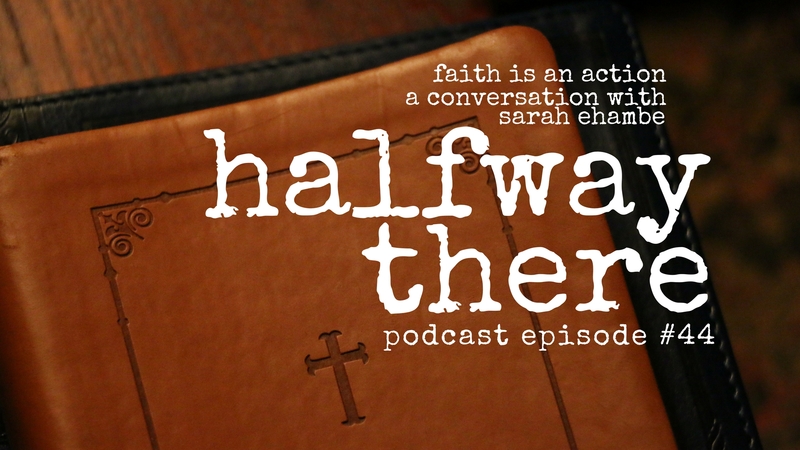 Listen above or in iTunes to hear Sarah’s journey! Also, in this episode, I ask for some feed back and announced the Halfway There Audience Survey! I’m looking for some feedback on why you like the show and how I can serve you better. It will only take two minutes. Thank you!